With the Labor Day Holiday weekend approaching soon, we thought this would be the perfect time to highlight the services the Illinois Poison Center (IPC) can provide to employees and workers of all types in our state. You may not realize how valuable a resource the IPC is to people on the job, however, statistics show that 24,546 calls were placed to poison centers throughout the U.S. in 2010 regarding occupational exposures to hazardous chemicals at worksites. Nationally, the Bureau of Labor Statistics indicates that workers suffered more than 55,000 illnesses related to chemical exposures in 2007 and nearly 17,500 chemical-related injuries and illnesses resulted in workers spending days away from work. When you think of accidental “poisoning”, you may automatically think that the “poison” or potentially toxic substance in question is something that is tasted or swallowed. However, poisoning accidents at the workplace are more commonly splashes to eyes or skin, or accidentally inhaling a hazardous chemical or substance. Exposures to potentially hazardous substances can occur not only in manufacturing settings, but in office environments as well. Recommendations made by the experts at the Illinois Poison Center may include methods of appropriate body decontamination, necessary laboratory studies, duration of observation time in the health care facility, and follow-up procedures. Assures safe and healthful workplaces by setting and enforcing standards, and by providing training, outreach, education and assistance. Promotes and protects the rights, wages, welfare, working conditions, safety and health of Illinois workers through enforcement of the state labor laws, to safeguard the public through regulation of amusement rides, and to ensure compliance with all other labor standards. Federal agency responsible for conducting research and making recommendations for the prevention of work-related injury and illness. Federal public health agency involved with hazardous waste issues. The agency helps prevent or reduce the harmful effects of exposure to hazardous substances on human health. To all of the hardworking citizens of Illinois, enjoy your well-deserved Labor Day weekend! 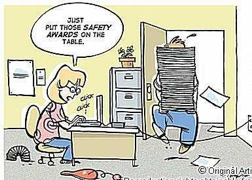 We wish you health and safety when you head back to work on Tuesday morning, and throughout the entire year. If an occupational exposure to a potentially toxic substance does occur, even on this special weekend, you will find the experts at the IPC are available 24/7 at 1-800-222-1222 to offer immediate assistance. Post this valuable emergency number at all workstations for immediate access and/or contact us for free stickers, magnets and posters with our number 1 800-222-1222 at: http://illinoispoisoncenter.org/Poison_Prevention_Education. It’s Illinois Poison Prevention Month!